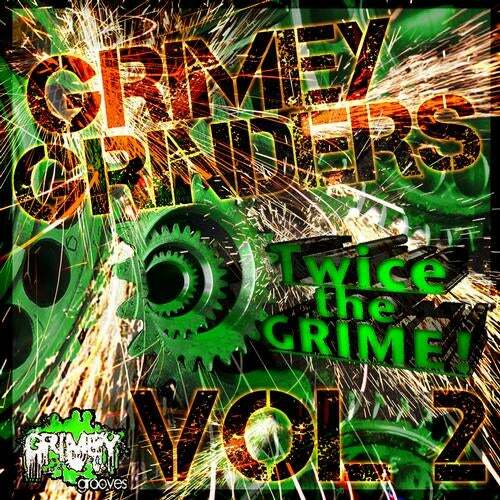 Grimey Grooves Records is proud to present "Grimey Grinders Volume 2, Twice the Grime!" 24 Banging tracks from All of our Grimey producers Worldwide! A mix of Electro House, Dubstep, Drum N Bass, Breakbeat, and Glitch Hop to showcase All of the amazing talent our producers have to offer! Grimey Grooves has had great success in 2013 with 18 Top selling most popular releases currently on Beatport, and this compilation highlights and ties together all of our productions for an amazing year. Already gearing up for a Huge 2014 year, stay tuned to for all your Grimey Bass tracks needs! Big Ups to Team Grimey and the Grimey Grooves Family Worldwide! Be sure to check out and pick up ALL of our releases from All of our Grimey producers, and as Always God Bless, Be Groovey, & Stay Grimey with GRIMEY GROOVES!! !